The path of the Aug. 21 eclipse will give astronomers the opportunity for some rare solar research. Millions of people are expected to watch the Aug. 21 total solar eclipse. But for scientists and reporters who cover space, the upcoming event is more than just an awe-inspiring sight. 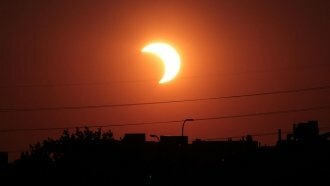 Newsy chatted with Rick Fienberg, astronomer and press officer for the American Astronomical Society, and Tariq Malik, managing editor of Space.com, about the eclipse and how important it is to further understanding the sun.